Angel – Jäger der Finsternis Beats. 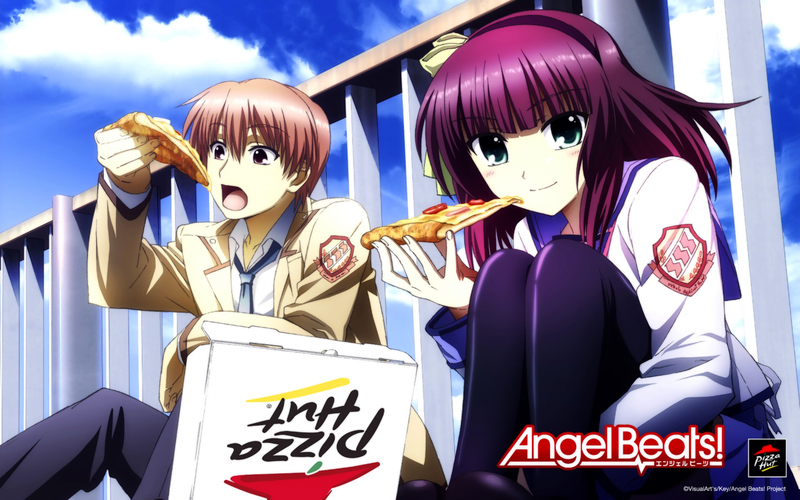 Sorry, but the Teenage Mutant Ninja Turtles already beat Du to the punch... in 8-bit, no less.. HD Wallpaper and background images in the Anime club tagged: anime angel beats pizza hut product placement lol. Sorry, but the Teenage Mutant Ninja Turtles already beat Du to the punch... in 8-bit, no less. This Anime wallpaper contains anime, comic, manga, cartoon, comic buch, karikatur, and comics. Makes me want pizza hut AND Angel Beats! Pizza Hut has expanded into the afterlife?! I never knew Pizza Hut would sponsor an anime. ._. ^ Well, they sponsored a video game, so I guess we should've seen this coming.